PARIS (AFP) - Four decades after the boy pharaoh caused a sensation in the United States and Europe, treasures from the tomb of Tutankhamun are to tour the world again - many for the first time. More than 50 of the 150 artworks from his tomb in the show will only ever leave Cairo once, say Egyptian authorities who are organising the tour in a run-up to the 2020 opening of the Grand Egyptian Museum in Giza. 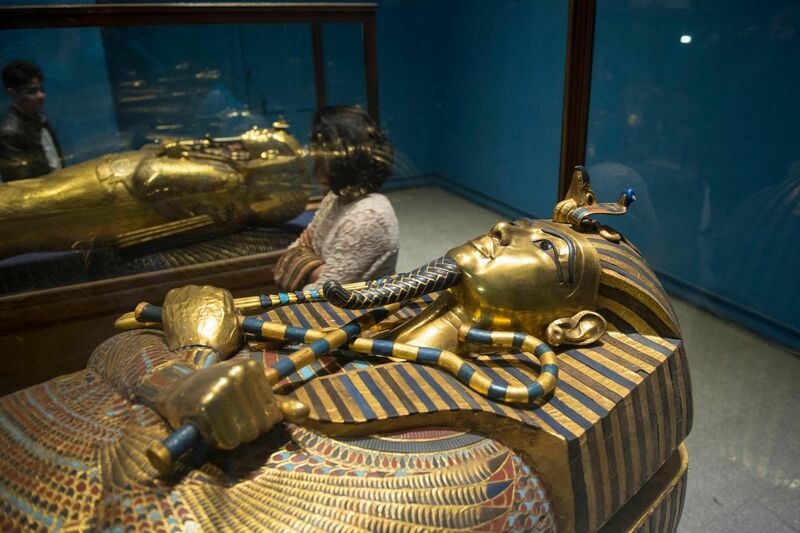 Treasures Of The Golden Pharaoh - which opened in Los Angeles in March - will go on show in Paris next March. It is the show's only stop in continental Europe. Previous exhibitions about the boy pharaoh have been record-breaking blockbusters. Another 1.2 million people had queued to see a smaller exhibition six years earlier in Paris. "The discovery of Tutankhamun's unplundered tomb revived our fascination with Egypt and its buried treasure," said Mr Vincent Rondot, head of the Egypt department at the Louvre museum. The Paris show will run from March 23 until Sept 15, 2019. The Los Angeles show at the California Science Centre closes in January.